Detailing these Dash-9s is a very fun project. If you own one of these beauties yourself, I would highly recommend detailing them out. They looked good to start out with, but with some extra eye-catching details, these engines will look like museum pieces. 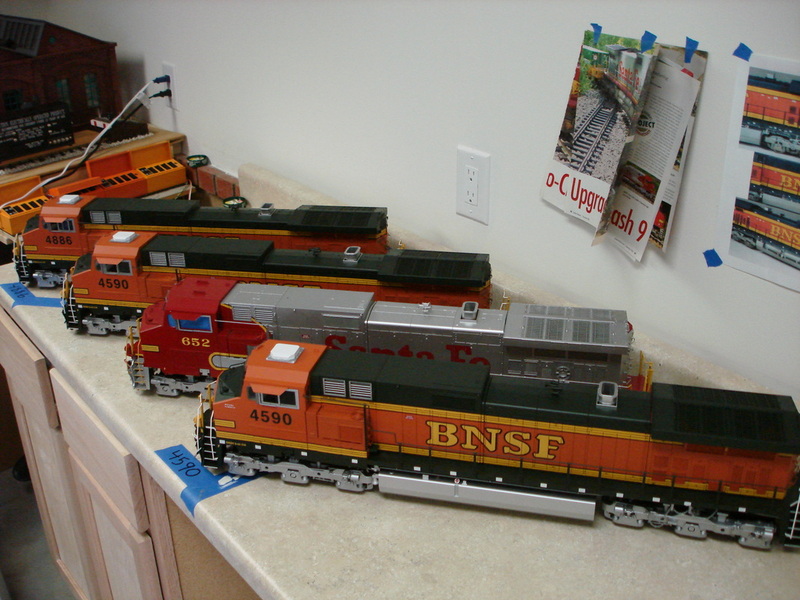 Here are some under construction pictures of three BNSF C44-9Ws - enjoy and good luck with your projects! !